Tenth issue! Every tenth issue I figured I’d make a long one that goes beyond four frames. Here’s the first. 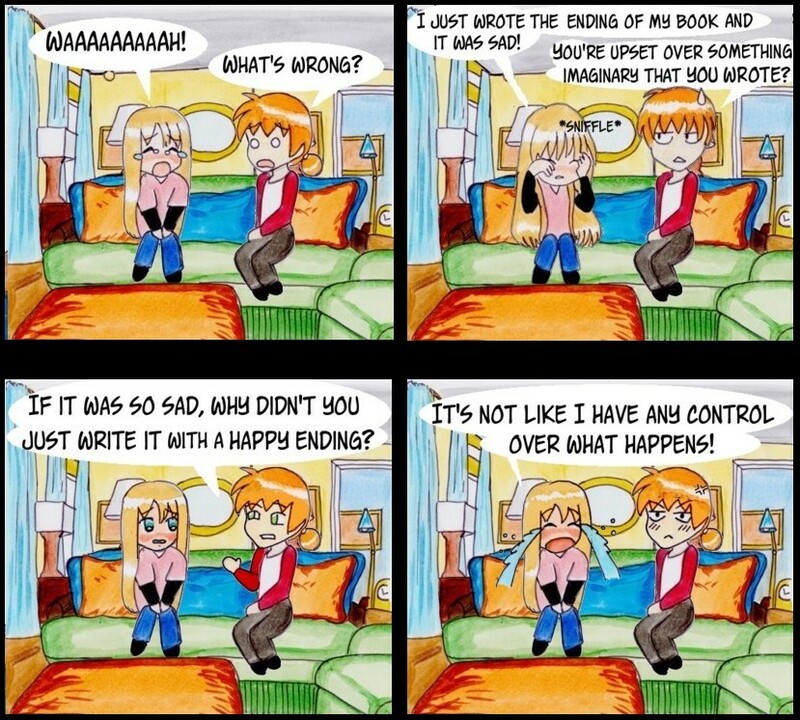 Writers all write differently. Some plot everything out; some write by the seat of their pants. Some work better with deadlines or obligatory word counts; others are inconsistent binge writers. Some write everything in their heads and revise and think it over until finally writing it down, and some find out what’s happening as it’s appearing on the page. Nobody’s technique is superior. If someone tells you you’re not a real writer or not a true artist if you don’t [blank], it’s likely that person is a lot more caught up in the mystique and image of “being a writer” than in the magic and power of writing itself. 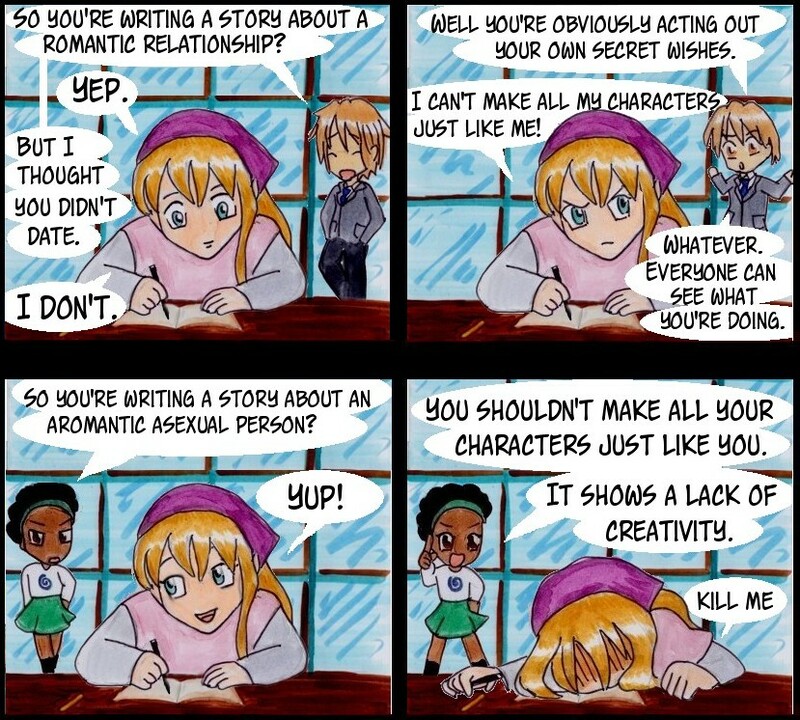 Not all writers are going to relate to or “get” everything in this comic, even. 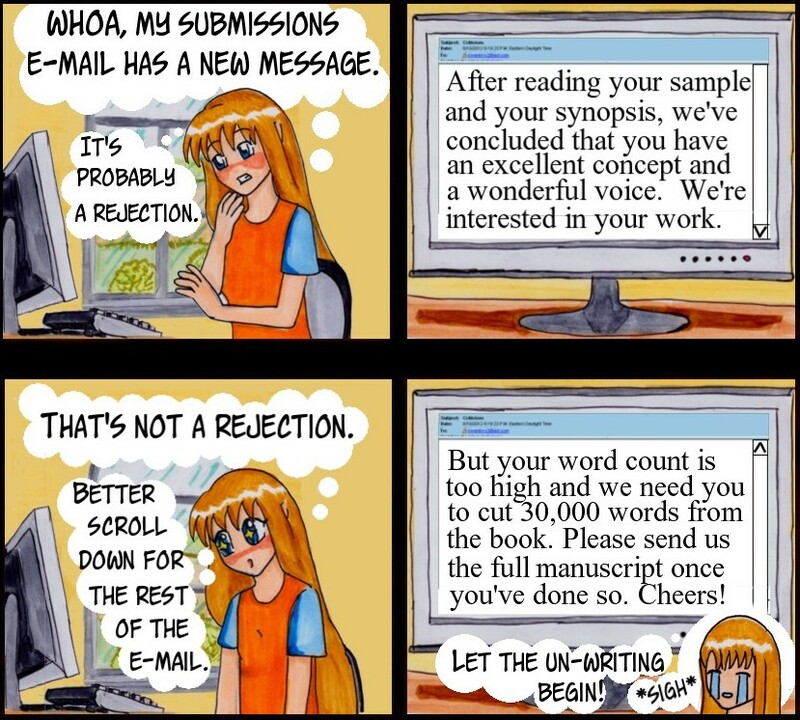 It’s struck a chord with some people, and there are probably others who have sniffed and thought, “THAT never happened to me” (and possibly concluded, “this webcomic chick is stupid”). Rest assured, this is mainly autobiographical, and it is supposed to reflect my experience, not suggest yours should be identical. 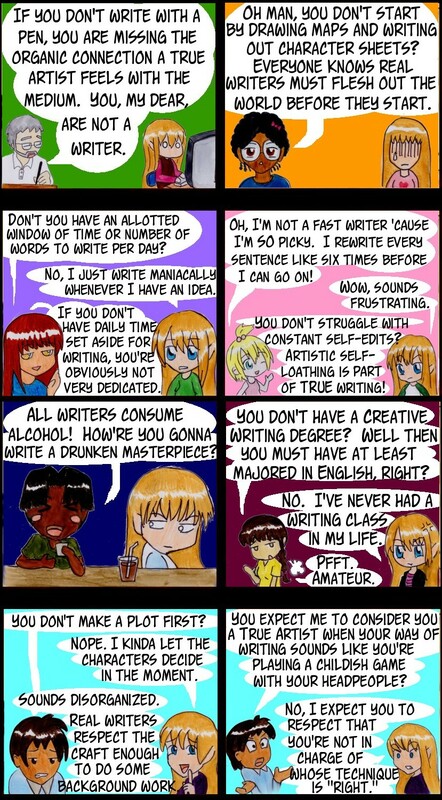 In conclusion, I will now share some of my favorite quotes from other writers on writing. So happens this is a situation I’m in right now. It’s frustrating to have to play by the publishing industry’s rules, but first novels almost never get a pass when it comes to high word counts. At least if this agent ends up not signing me either (like the last few who invoked word count or pacing when rejecting my full manuscript), I’ll have a more marketable book to show for it at the end. If you’ll excuse me, I have some un-writing to do. 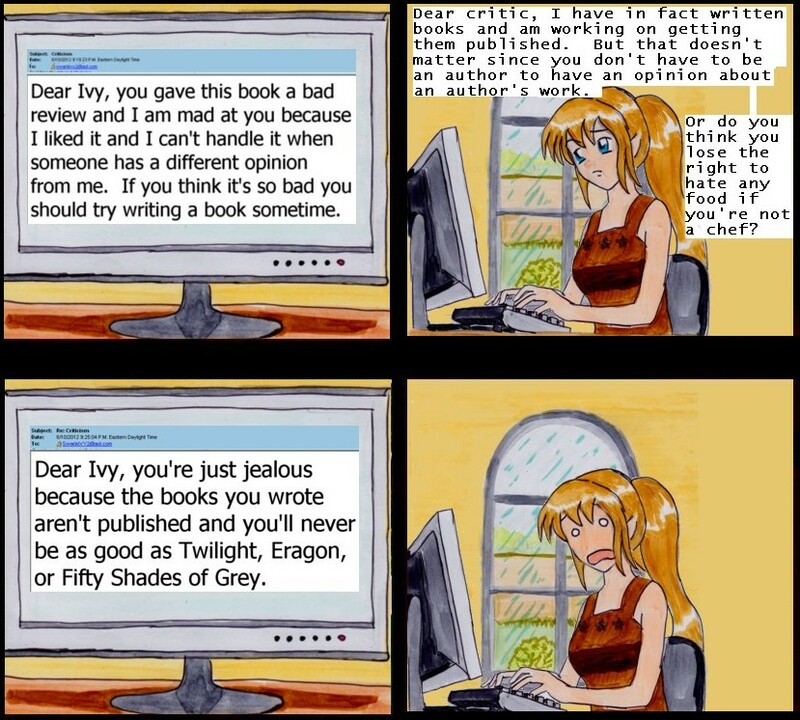 It’s probably not worth trying to understand why writers do the “research” they do. It’s likely it won’t make any sense outside their heads, so you’re better off not asking them to explain it to you. My college roommate John, on whom this toon is based, clearly understood that. 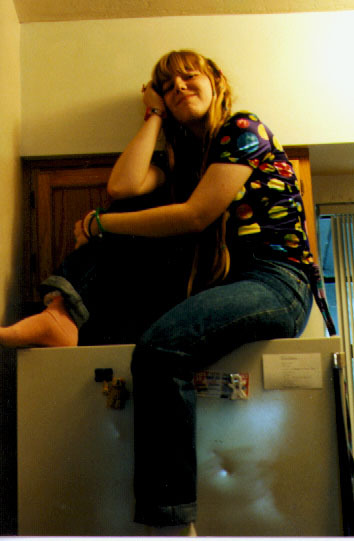 He knew when to just walk away and not interrogate his roommate as to why she was sitting on the fridge. Though he is a theatre geek and not really a writing nerd, creative types usually get this sort of thing about each other. He is now a successful producer. The other person featured in the strip is not a real person. But I’m sure people like her probably get frustrated with us. I’m afraid I get this pretty frequently because I’m an outspoken critic of the Inheritance Cycle. Either I should shut up because I clearly don’t know how hard it is to write a book, or I’m jealous of someone whose work I find flawed and unimpressive. Couldn’t be that I actually made valid points! So yes, critics of the critics, assign me attitudes as empty as your own if you can’t be bothered to counter my points. . . . 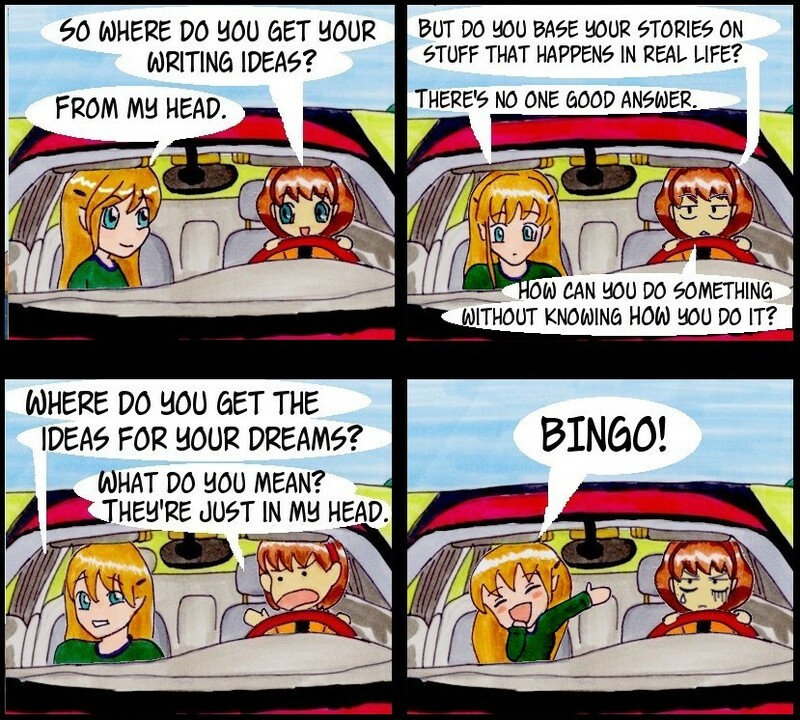 This is my webcomic about being a writer. 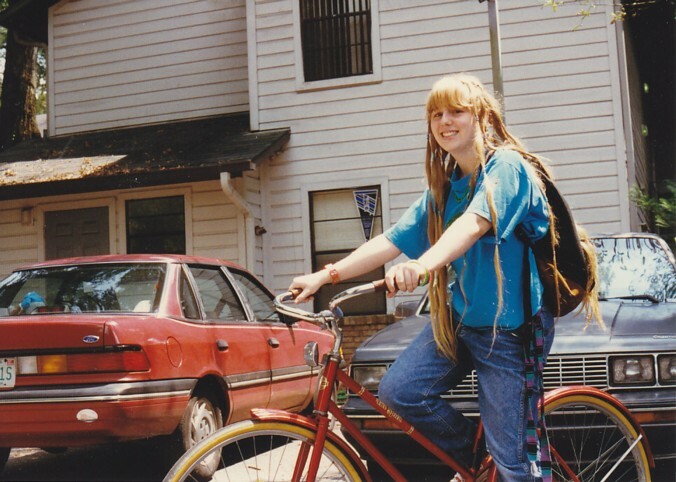 It’s very silly, with autobiographical details about my life as a writer and what sorts of things we creative types deal with while interacting with the outside world. There is no update schedule planned; I’ll add a new one whenever I feel like it. 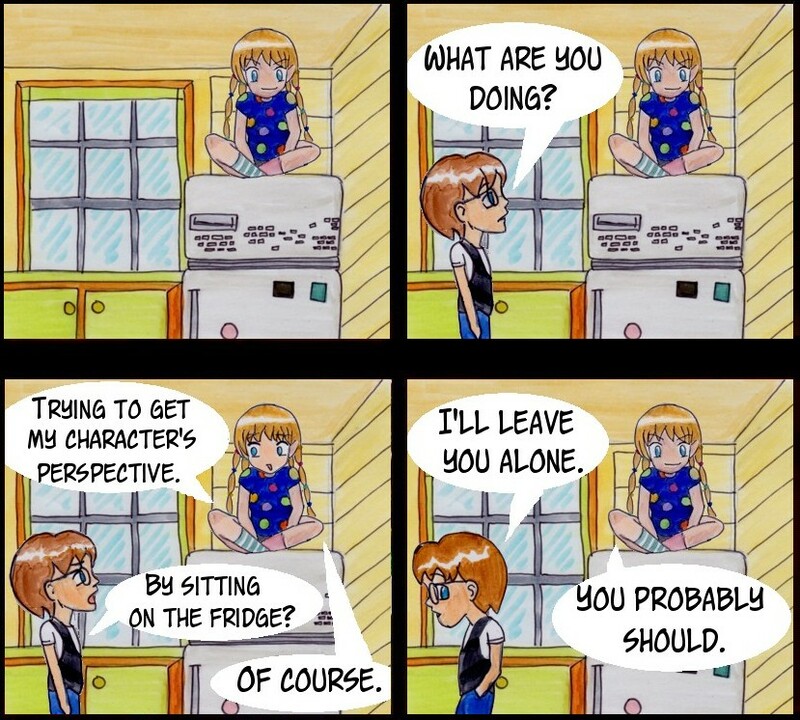 It’d be too demanding for me to try to keep this one regular too since I already have another webcomic that has been updated every Friday since May 20, 2005. Please send me a message if you’d like to leave private feedback or ask questions about any of my projects. 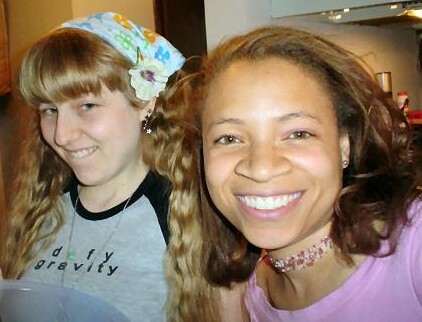 We spend a lot of time with our characters, so it only makes sense that real-life discussions remind us of them. Personally, I find myself referring to fictional events and imaginary people whenever it’s relevant about as often as I bring up real people. Hey, they’re real to us, right? 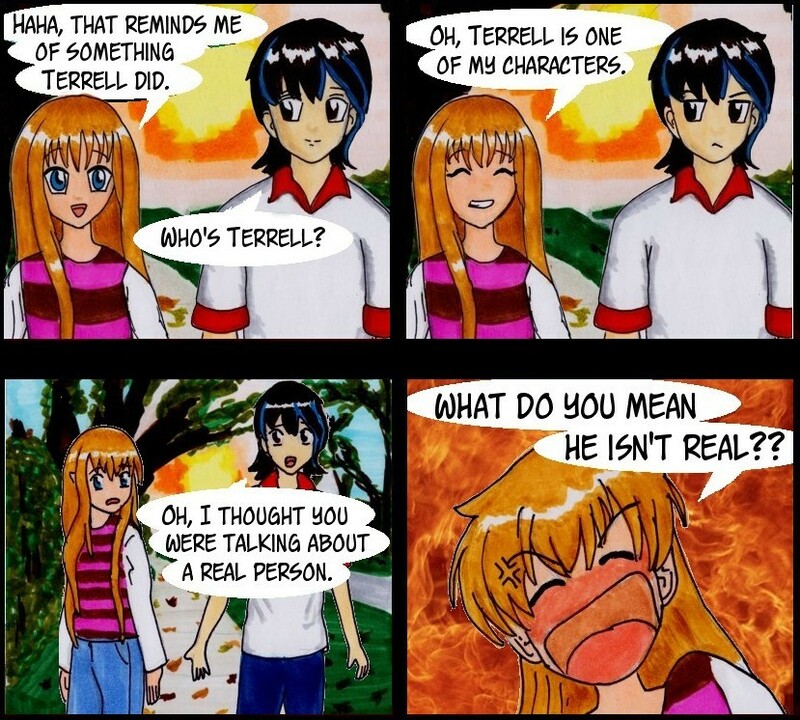 Terrell is a character from my novel Finding Mulligan. We can’t win. If we write what we know, people roll their eyes and tell us we’re inserting Mary Sues. If we write about characters that aren’t at all like us, people suggest we’re acting out our fantasies through our characters. Yes, our experiences and perspectives affect our characters. But most of us are not incapable of realistically portraying characters who think and believe differently. Some writers might be able to give you a straightforward answer to this question. But I’ve never met one that really could. For most of us, it’s as varied and unpredictable as dreaming . . . there are elements of real life, elements of fantasy, mix-ins from things we thought were neat, ideas that have been interacting with each other since who knows when. I have no idea where my ideas come from. They seem to sort of create themselves. Sometimes non-writing-type-people actually think we get to decide what happens in our stories. Hilarious, eh?